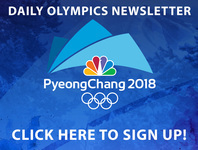 Milwaukee's Paul Golomski is living an Olympic dream on the ice as the only American working on the ice making crew in Pyeongchang for long track speed skating. It is a job Golomski got thanks to a lot of hours logged at the Pettit Center. "I have driven in probably a million circles around the Pettit Center over my career at 18 years," said Golomski. It seems simple enough: Drive a zamboni and lay down clean ice. But there is some art to it. "They're going like 40 miles-per-hour on their own skates so we have to create a sheet of ice that looks like a sheet of glass," said Golomski. Plus, a whole lot of science to make that happen. Every day, the team maps the ice and measure it. They check the depth a hundred times. On top of that, you need the right combination of super pure water and air temperature. "The water temperature is really critical in ice making so the water is really hot, it's like 160 degrees. It's really pure water," said Golomski. "That really helps to create that mirror-like surface that they glide on." Golomski knows his team has achieved perfection because of the results. "We've got six Olympic records at the Gangum Oval right now," said Golomski. He knows the only other people seeing his exact view from the Zamboni are the Olympic athletes. "For me, it's sent chills through my spine just being in this building and being a part of the process," said Golomski. "It's really a blessing for me to be here."